Shopping and doing business online is a matter of trust. Only if the visitor on a website trusts the provider it will come to a successful transaction. In this context reviews and experiences from other customers are of great relevance. 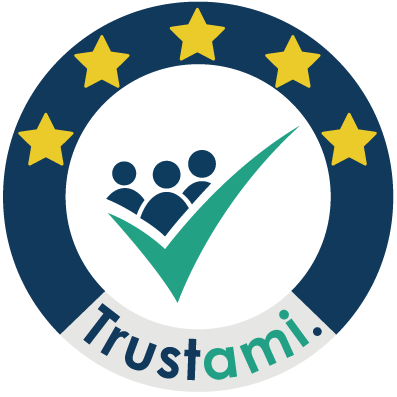 Trustami connects the reviews of a business from different platforms and aggregates all on one trust badge. We understand our product as “digital trust id, which contains everything relevant”, which for instance increases sales on marketplaces or enables business transactions between two entities. The Trustami trust badge can be used by companies from any sector and by private users. More information about the relevance of reviews and customer experiences for your bunsiness can be found here.